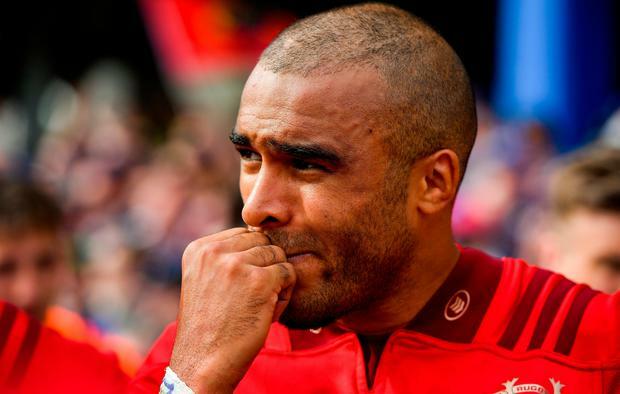 Simon Zebo may have played his last game for Munster but has not ruled out a move back to Thomond Park in the future. Munster's season came to an end yesterday with 16-15 defeat to Leinster in their Guinness PRO14 semi-final at the RDS meaning that the next time Zebo pulls on a jersey, it will be the blue and white of Racing 92. It was an emotional occasion as Johann van Graan's side narrowly missed out on joining Scarlets in next week's final at the Aviva. Zebo posted an emotional message on his Twitter page to say thank you to the Munster faithful that have supported him throughout his career. "Signing off with a heavy heart," he posted on his Twitter page. "Thank you Munster Rugby for letting me fulfil my dreams in playing and representing our great club. Signing off with a heavy heart.. Thank you Munster Rugby for letting me fulfill my dreams in playing for and representing our great club.. Thank you to the players,staff and supporters for accepting me for who I am and letting me be me..
"Thank you to the players staff and supporters for accepting me for who I am and allowing me to be me. You will have a massive Munster fan in Paris. I hope it’s not the end just goodbye for now. Lots of love Zeebs x."